Opening Times: Chesters Walled Garden is open 10 am - 5 pm every day of the week from 1st April to 31st October. From November to end of March will depend on the weather and it is advisable to check by phone first. The garden has one of the largest collections of herbs in Britain. 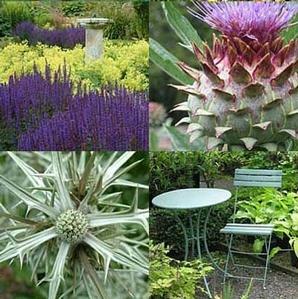 There are medicinal and dye plants, culinary and aromatic herbs, knot gardens and old fashioned roses. Run organically the garden attracts lots of wildlife and red squirrels. It has been featured often on TV programmes.